Put a giant robot in your pocket! Standing roughly 2-inches tall, each figure in the Transformers Legends of Cybertron Wave 4 goes from robot to vehicle in just seconds. 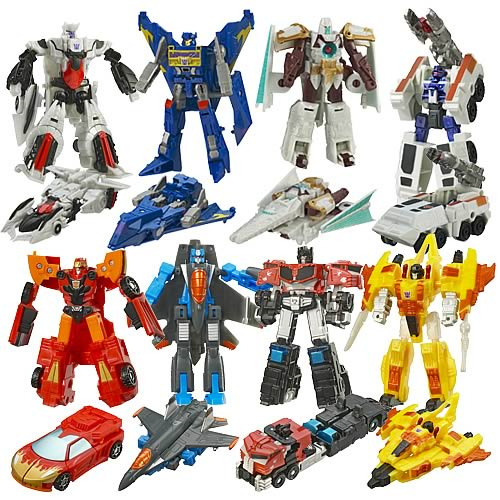 This set includes 8 individually packaged figures: 1x Galvatron , 1x Soundwave, 1x Vector Prime, 1x Red Alert, 1x Hot Shot (Red), 1x Thundercracker, 1x Optimus Prime (NEW), 1x Sunstorm. (Subject to change).